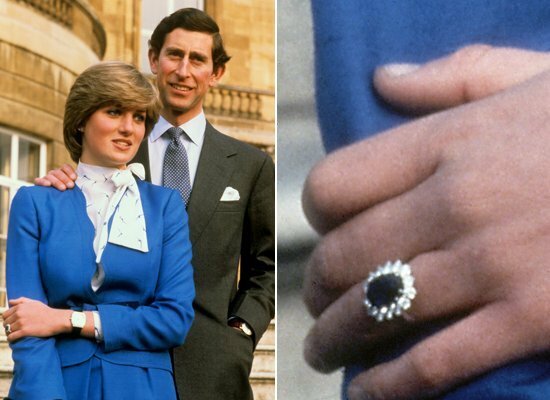 Diana chose an 18-carat Oval Blue Sapphire surrounded by 14 brilliant-cut Diamonds and set in 18-carat white gold by Garrard Jewellers, the official crown jeweller for the British monarchy. Prince William proposed to Katherine, with his mother’s stunning engagement ring. The Prince said he wanted his mother to be part of this special and significant time in his life and therefore chose to give his bride her ring. 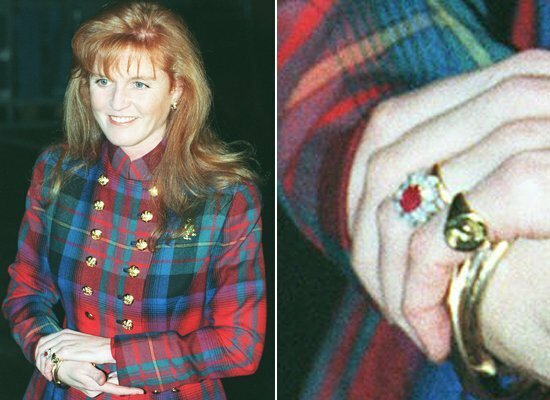 Prince Andrew helped design an Oval Burma Ruby ring also from Garrard Jewelers, surrounded by a cluster of 10 drop diamonds, for Sarah Ferguson. It is set in 18-carat yellow gold, and has a white gold band.